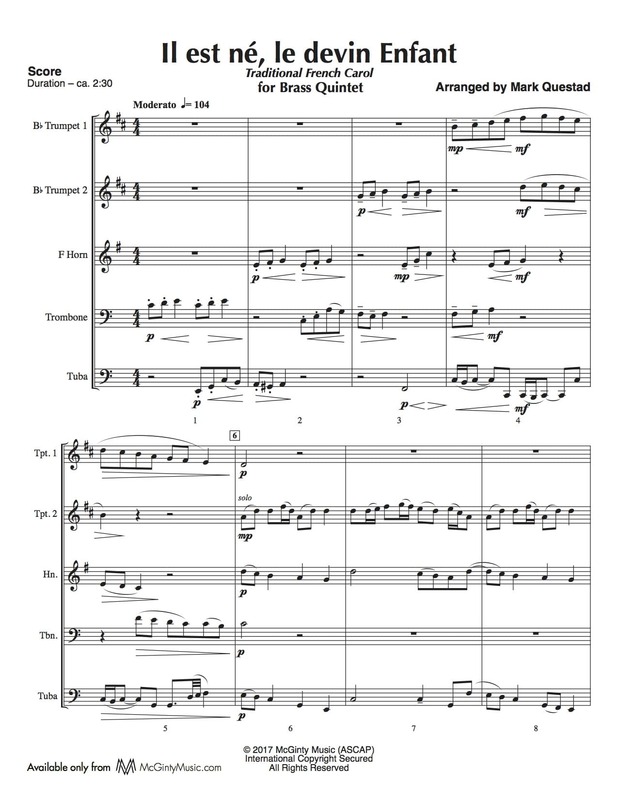 Il est né, le devin Enfant – Brass Quintet | McGinty Music, LLC. Il est né, le devin Enfant, a French Christmas carol, occupies an unusual position between the secular and the sacred. Suitably, this instrumental version can find a place on different types of programs. A joyous carol, the text of the chorus tells us to celebrate by playing oboes and sounding bagpipes.